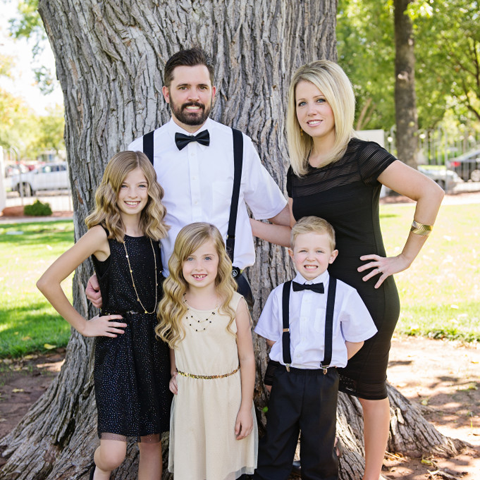 On my birthday, last Sunday, I got to lounge around in my pajamas all day and hang with my cute lil’ family. It was so peaceful and relaxing. I could not have been happier. 🙂 Since my work days and home life keep getting busier, I feel I hardly have time to cook and bake anymore. I hardly even have time to blog (as I’m sure you’ve noticed). 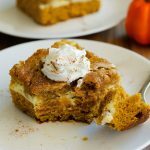 When my good friend Brandie, at The Country Cook, posted this recipe, I was so excited to try it! It was exactly what I was looking for. 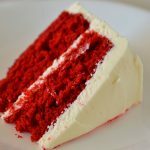 A short-cut, semi-homemade version of my beloved Red Velvet Cheesecake Cake. 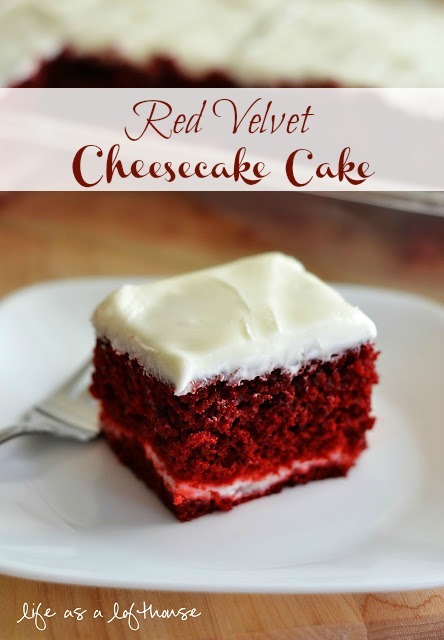 Layers of red velvet cake and cheesecake with the best cream cheese frosting on top! 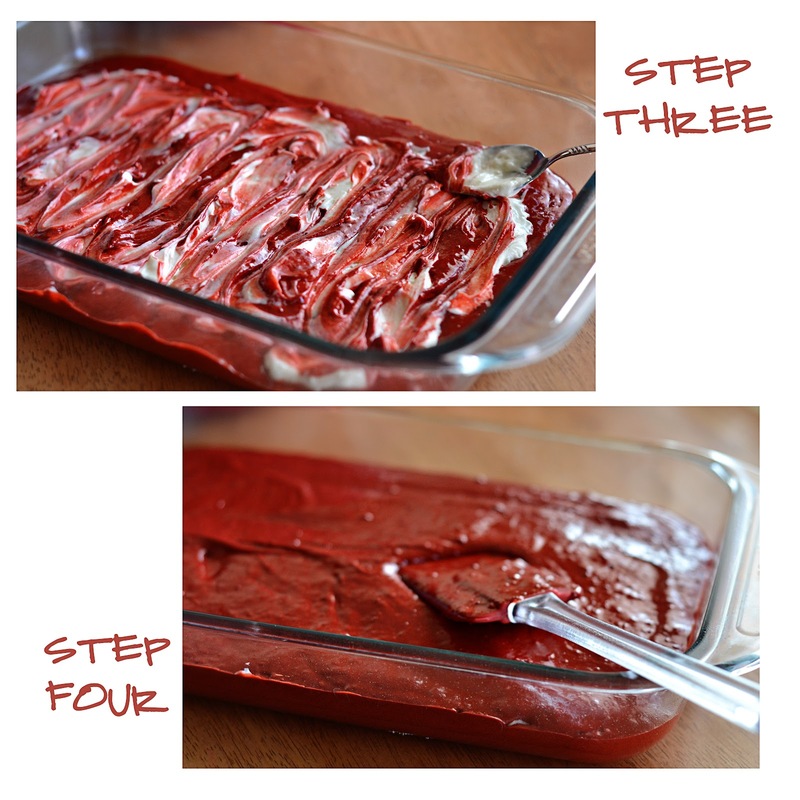 Prepare the Red Velvet cake batter, according to package directions. Set aside. 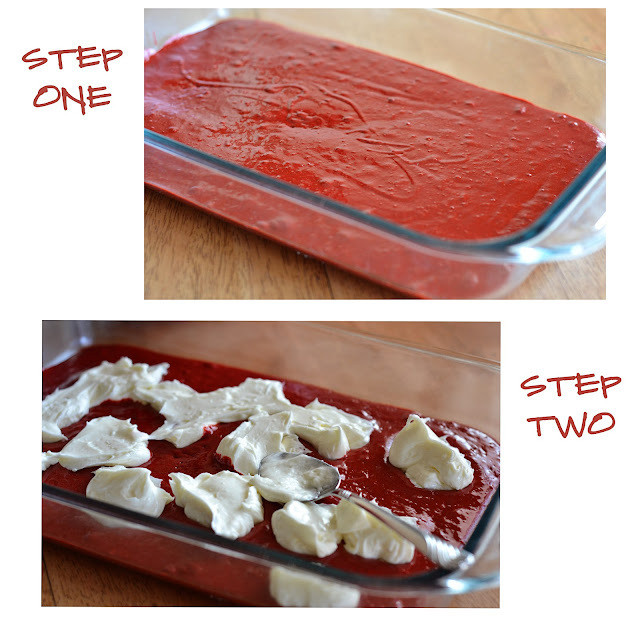 Pour half of the red velvet cake batter into the prepared 9×13 pan. Spread out evenly. Then take the cream cheese mixture and drop spoonfuls all over the batter in the pan. Take the back of the spoon and swirl the cream cheese mixture all over the top of the cake batter. Pour the remaining red velvet batter all over the top of the cream cheese mixture. Carefully, spread the cake batter over the top evenly. Covering all of the cream cheese. 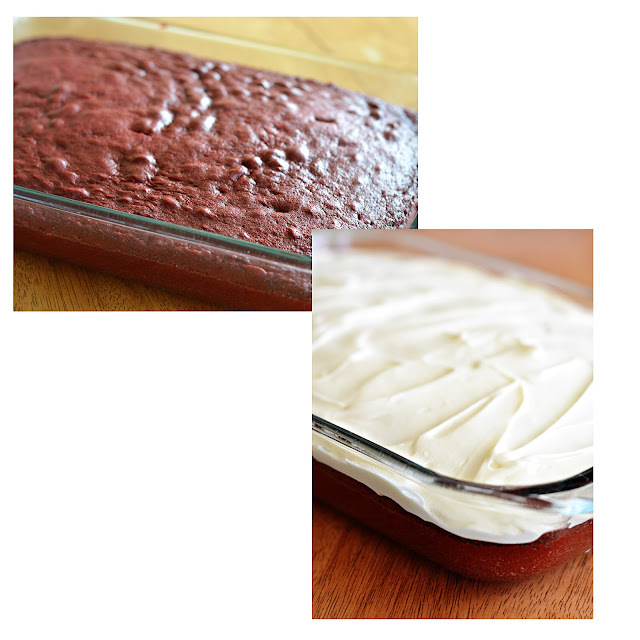 Bake for 38-40 minutes, or until a tooth-pick inserted in center of cake, comes out clean. Let cake cool completely before frosting. 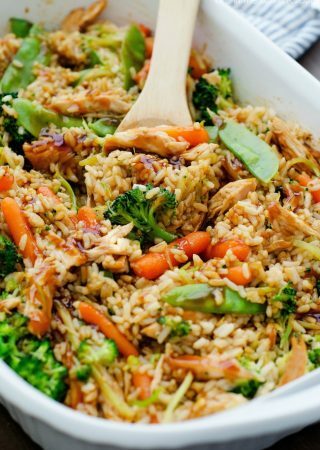 This looks perfect for my husbands potluck lunch on Friday ! Thanks again for the inspiration. Oh yum! This looks amazing. This is stunning!! Happy Birthday! 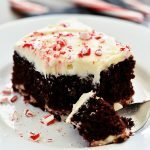 Oh I love how easy that is to much such a decadent cake! Other flavor combos are swirling now:-) And Happy late Birthday sweet girl! Glad to hear you had a perfectly lazy day for it!!! Oh my goodness…. looks divine! 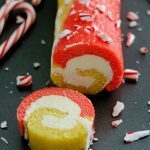 Made this for Christmas Eve everyone absolutely loved it, beautiful, delicious, moist, and super-easy. Definitely a keeper. Thank you!! I made it for the first time today for our women’s Advent Candlelight Fellowship tonight. My home smells heavenly! Can’t wait to try it. Happy Birthday Darlin’! And Thankyou for sharing such wonderful, inspirational ideas with us!